UPTON – This annual State Conference (based in Marlborough) runs from Thursday to Saturday with the highlight being the more than 50 vocational technical trade and employment contests at Valley Tech on Friday, April 27 from 9 a.m.-3 p.m.. SkillsUSA Massachusetts provides opportunities for participating students to develop individually and improve teamwork, leadership and professional skills through education, training, service, and competition. SkillsUSA Massachusetts is the largest educational organization in New England with more than 25,000 members and is the second largest in the country with the national organization boasting nearly 300,000 members. This is the sixth straight year Valley Tech has hosted the prestigious Olympic-style competition with approximately 2,000 students judged by business professionals according to industry and employment standards. Winners earn the right to represent SkillsUSA Massachusetts at the SkillsUSA National Leadership and Skills Conference in June in Kansas City, Missouri. Blackstone Valley Regional Vocational Technical High School serves the towns of Bellingham, Blackstone, Douglas, Grafton, Hopedale, Mendon, Milford, Millbury, Millville, Northbridge, Sutton, Upton and Uxbridge. Located in the heart of the Blackstone Valley, Blackstone Valley Tech creates a positive learning community that prepares students for personal and professional success in an internationally competitive society through a fusion of rigorous vocational, technical, and academic skills. 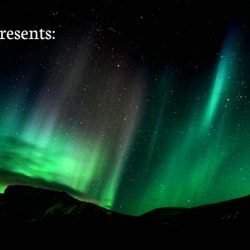 The school’s website is www.valleytech.k12.ma.us. 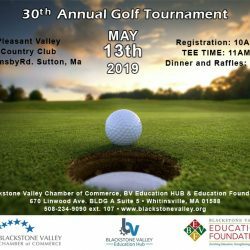 The Blackstone Valley Chamber of Commerce Education Foundation, Inc. is the not-for-profit umbrella organization for all Blackstone Valley Chamber of Commerce school-business related activities and cultural programs. Our Mission: To lead and support education that promotes workforce development and enhances the quality of life in the Blackstone Valley.